We remember from Besslers name code, that the number 55 occurs as a code or checksum. But what does it really mean? Does it have to do with the internal mechanism of his energy-invention or is it a simple code. Even an older and secret code used by Rosicrucians and later the Masons? My book "Two Grails" clearly identifies it's use, the purpose and meaning in historical works of art. Both written and graphical work. The "magic" Pythagorean number sequence 3-4-5 (Saturn Mars and Jupiter) lead us to the answer. 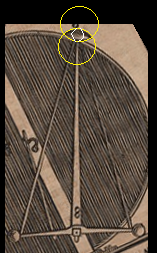 In Besslers drawing the Kassel Secunda Figura, we found the number 5 inside a triangle. This coplies with our initial finding of "Orffyreus 5 and 3." 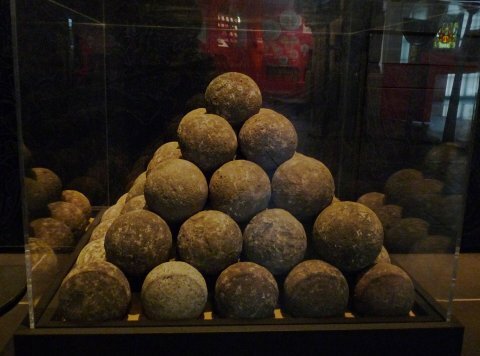 We could conclude that a traingle of five "stones" has 15 "stones". This is the old secret of the Rosicrucians. Here seen i a watermark of one of Francis Bacons books. 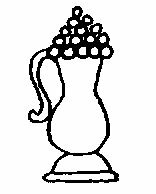 "Triangle of 5" or 15 grapes placed on a wine pitcher. Certainly leading us to France. The letter "C R" is inscribed, just as in Orffyreus' watermark. Using the letters " c r " together with the French royal "Fleur-de-lis". On the right side we see a watermark found in Shakespeares folio from the 1600s. The works of Shakespeare is loaded with Rosicrucian codes, and my book also explains how and why. This is the same codes that was used by Orffyreus. 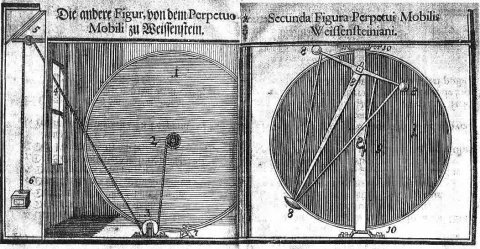 In "Kassel Secunda Figura", Orffyreus draw the number 5 inside a triangle. We can see above that a 5 sided triangle, making 15 "grapes" was a Rosicrucian secret code! But does it reveal more? Why a triangle of 5? 4 triangles can create a pyramid. So, could 55 represent a pyramid, made from 5 and 3? So, 3,5 and 55 represents a "pythagorean" pyramid. But what about it? Did Bessler know the secret of the geometry of the great Pyramids? Did the Rosicrucian know? Do the Masons know? Is it still a secret? Did they incorporate the secret mehods into books and paintings, like Orffyreus did in his Maschinen Tractate and other pictures? I concluded that all of this comes down to what was called "The Stone of the Wise". If you knew the secret geometry of the pyramids and the secret geometry predating Pythagoras, you held "The Stone of the Wise". The formula is hidden in the great pyramids of Giza, and in many other artworks, writings and buildings!! These methods are among the masonic (builders and artists) secrets and it contains the secret of (aprox.) squaring the circle, the sun as the "universe's" centrre, and the size of the earth and moon. This knowledge was in oposition the church ans has to be kept secret among "The Wise". The is why Orffyreus wrote: The squareing of the circle, I leave to the wise". Orffyreus knew it, and all the great artists of the time knew it, and applied it, and I can prove it. It is all in my books. Here we can see an illustration if "The Stone of the wise". A pyramid. The text say that the secret is found through squaring of the circle.. But, the secret to construct this pyramid is not shown here. This secret method IS the ancient secret. The Masons like Geaorge Wasington and Benjamin Franklin etc. was clearly very proud of their knowledge of the ancient secrets hidden in great artwork of Shakespeare, KJV Bible, da Vincis paintings, Raphaels paintings, Nicolas Poussins paintings, in Albrecht Durers paintings and in the great pyramids. Orffyreus explains the relationship between 55 and the stone of the wise, and by understaning thos methods we can see how it will lead us to understand how he could incorporate a secret patent by applying these and similar methods into his writings. When his hidden principle is revealed we will see that it based upon triangular shapes like the Pyramid shapes and the masonic square and compass. 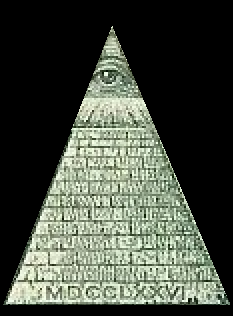 If we turn the pundulum, we can also see that the top of the "Pyramid" contains a "eye" made of two intersecting circles. This reembles the figure for "the fish" or christ. The traditional use of the symbol can be found here. The connection was pointed out by this user on the www.besslerwheel.com forum. The later christian meaning was as the symbol of "Christ". So what is Christ or and eye doing on top of a triangle? 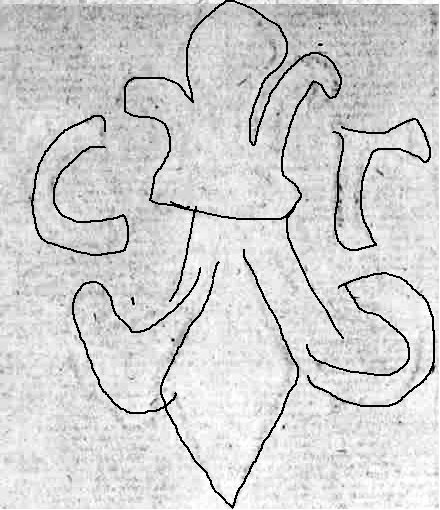 As I have explained, this is the symbol of the pre-Pythagorean secret methods used to symbolise that they had "cracked" the geometry and numbers of "God". "The Stone of the Wise"
This was a part of orffyreus secret patent.